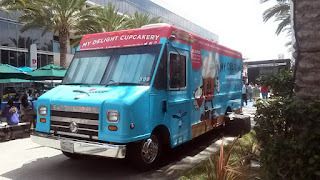 My Delight Cupcakery is located on N Mountain Avenue in Ontario, California. They also have a food truck for events. 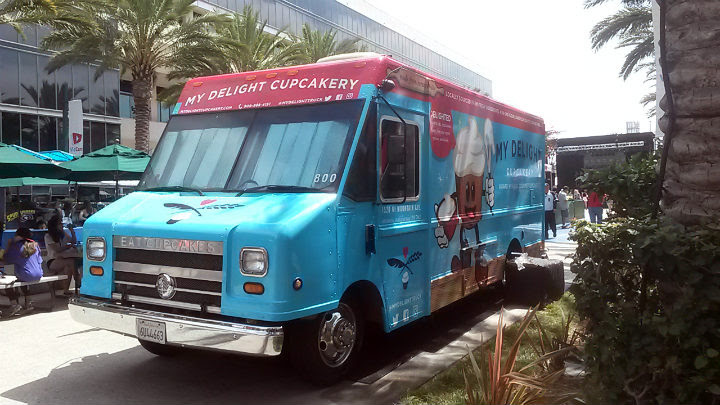 I saw their truck at Vidcon 2016 in Anaheim. 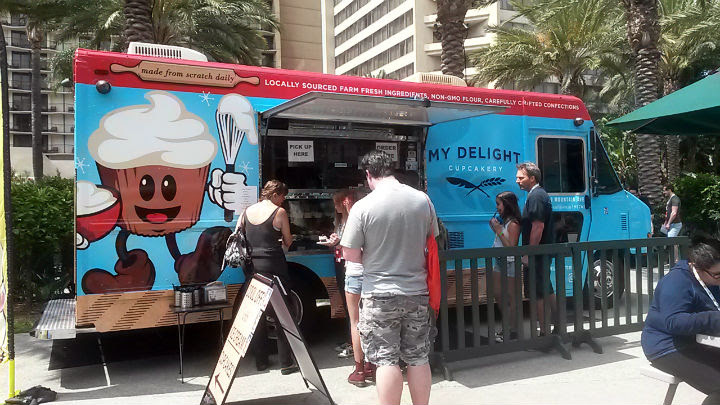 A number of different cupcakes and other goodies to choose from at this food truck. 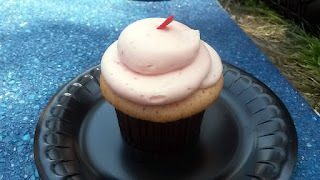 Upon scanning their online menu, they also have a Key Lime Pie cupcake (which I unfortunately didn't see inside the food truck this time, but would totally get it next time, if possible). The Breakfast Cupcake ($3.75) starts with a buttermilk-based cupcake loaded with bits of applewood smoked bacon, topped with light maple frosting, more bacon, and maple syrup drizzle. 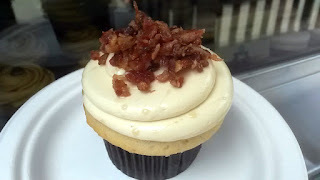 Just an amazing cupcake with a good amount of meat crack. Maple syrup and the frosting bring everything together. Their Strawberry Cupcake ($3.75) features real strawberries. Strawberry cupcake with smooth strawberry frosting. 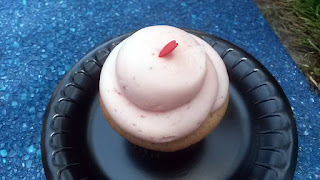 Immediately on the first bite, I could feel those strawberries wanting to dance in my mouth. 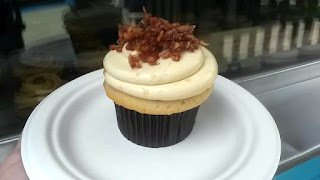 I'm sure I would have danced had I been alone somewhere and not amongst hundreds of people in food truck row. 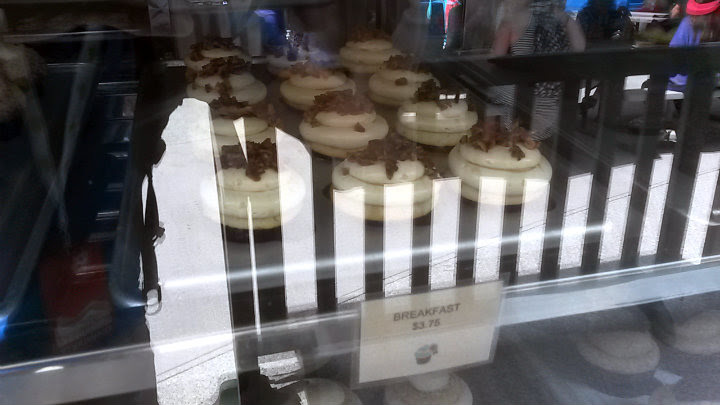 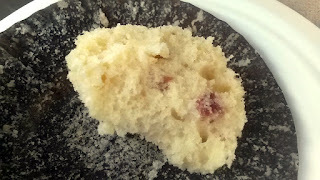 Both cupcakes were moist and fluffy, and also not too sweet (an added bonus). 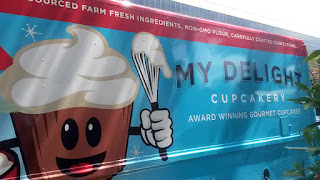 Really no complaints either way -- well, except wishing that they could cram the entire store's selection into their truck.